Most Americans picture two kinds of pumpkins: jack-o'-lanterns and cans. But, pumpkins have been a food staple around the world for millennia and Americans should embrace cooking with fun fall varieties. I am pretty sure most American children believe that pumpkins come in but two forms: the ones with triangular eyes that they see on front stoops this time of year, and the ones grown in cans at the giant Libby’s Pumpkin Farm. Pumpkins are colorful forms of winter squash, cooked by peoples all over the world as everyday food. Colorful red warty pumpkins are among the many varieties of pumpkins that are great for cooking. Photo: Getty Images. The Thai sweeten the pulp of small ones and serve them as self-standing desserts; Italians are famed for pasta stuffed with cooked and puréed “zucca,” their word for pumpkin. Other cultures also eat the leaves and flowers of the pumpkin vine, much in the same way that we might stuff and eat zucchini flowers. The pumpkin squash originated millennia ago in North America. It’s time to return it to our own kitchens and cook it as other cultures do. It’s truly as American as, well, pumpkin pie. 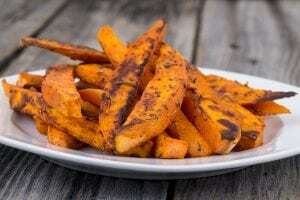 This month’s very straightforward recipe is for pumpkin fries, baked in the oven rather than in a deep-fat fryer. It was from among dozens of recipes using pumpkin meat that I found both in cookbooks and online. The better pumpkins to use for cooking exclude the ubiquitous “jack o’ lantern” pumpkin, also known simply as the carving or orange pumpkin. Carving pumpkins are relatively thin-walled (making them easier to clean out, cut up and scare with), whereas cooking (or “pie” or also called “sugar”) pumpkins are thick-walled, sporting a lot of flesh that is vividly colored in light to deep hues of orange or orange-red. And what killer names they have: Jarrahdale, Tiger Stripes, Cheese Wheel, Red Warty Thing, Knucklehead, Fairytale, Porcelain Doll and the Cinderella or Rouge Vif d’Etampes, an heirloom French variety. Pumpkin meat may be prepared for eating just as you cook other squashes: whole roasted; cut into large or small sections that are then boiled, steamed or roasted; even microwaved. Tastes and textures will vary too. The cooked flesh of a Jarrahdale, for example, isn’t stringy like carving pumpkin flesh and tastes slightly nutty (cashew-like) with a cucumber-like aroma. A Cinderella, on the other hand, is stringier and less sweet than a Jarrahdale and very yam-like when cooked. Be sure when roasting a whole pumpkin to incise the walls in several places with a thin sharp knife or long-tined sharp fork. You don’t want the pumpkin to explode inside the oven due to pent-up steam. 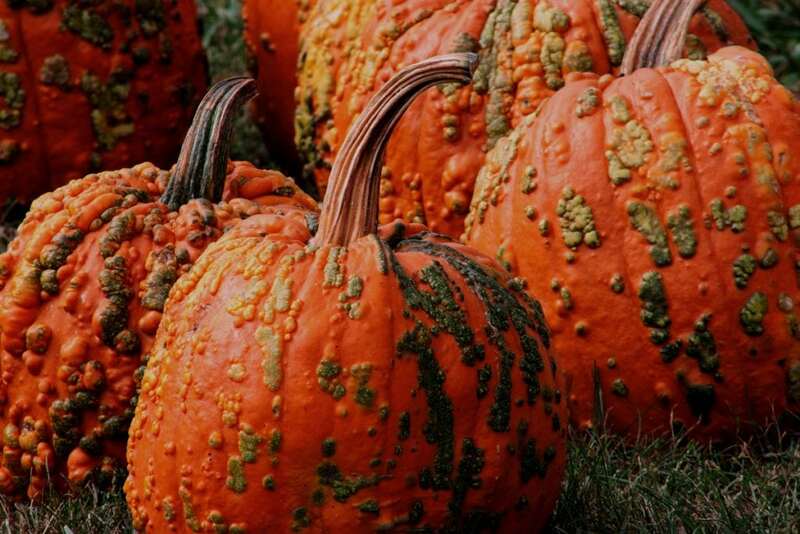 Sure, the orange or carving pumpkin is everywhere to be found, especially at this time of year. And, while you may use it for cooking, its flesh is neither flavorful nor ample. More and more grocery stores sell some of these other cooking pumpkins, especially the Cinderella and Jarrahdale. Pumpkins are great for much more jack-o’-lanterns and pie. Try making these delcious savory oven-baked pumpkin fries. Photo: Getty Images. Preheat oven to 350 degrees. Prepare the pumpkin for cooking by cutting it up, either in half lengthwise if not too large, or in quarters. Remove seeds and inner fibers. Peel off the skin. Cut the flesh into 1/4- to 1/2-inch thick strips that resemble French fries. Put seasonings and olive oil in a large bowl and mix well. With your hands, toss and completely coat the pumpkin strips. Arrange the fries in a single layer on a baking sheet lined with parchment paper. Bake for 30 minutes or until cooked through, turning once if desired. Note: The fries may not be crisp-skinned depending on the initial moisture level of the sort of pumpkin. But they will be delicious!